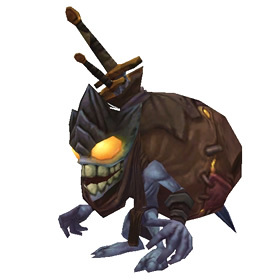 Patch 5.4.2 is Live: Treasure Goblin Coming Soon! The Treasure Goblin (pictured right) was added to the Pet Journal in this patch, however the pet itself is still not available at this time. Those that purchase the Collector's Edition of Diablo III: Reaper of Souls will be lucky enough to finally get a hold of this evasive little goblin and add him to their collections while earning the achievement Collector's Edition: Treasure Goblin. The release date hasn't been announced yet, so we'll have to wait a while longer for this pet. Have an alt on another server that's overflowing with pet bandages and treats that you wish you could use on characters on another server? Worry not because the cross-realm mail feature is now live! To mail an Account-Bound item to another one of your characters, address it to "Player name-Server name." It's that easy! There's a new shop icon that will lead you to the in-game store's interface. Keep in mind prices may not be finalized and not all store options have been implemented yet. Physical items, such as the Wyvern and Gryphon plushies, as well as the Guardian Cub and Moonkin Hatchling are not available from the in-game Blizzard Store. Additionally, the charity bundle for the Alterac Brew-Pup and mount cannot be purchased through this new feature. This sale will end January 1, 2014 so while there's still some time, don't wait too long to adopt or gift an adorable Blizzard Store pet!